Question: I was interested in someone but am still uncomfortable asking them for contact information. Answer: You will have a scorecard to fill out after each round. You can write down the names of anyone you were interested in from the event. We will send them an email letting them know that you were interested and provide your email address. 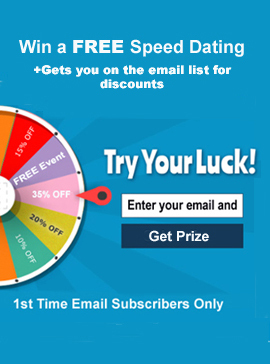 Long Island Speed Dating, NYC Speed Dating and Queens Speed Dating events for NY singles. Proof of age required! Other events like Bowling, Comedy and Softball etc.